Desert Legends, Volume 2 - *Morafic (1956-1974, Nazeer x Mabrouka) - Celebrate the legacy of the ‘King of Gleannloch,” a grey stallion who was brought to the U.S. in 1965 from Egypt, where he had been serving as the EAO chief sire. *Morafic sired 58 offspring in Egypt and 151 offspring in the United States and was rightfully classified as a “Living Legend” of the Straight Egyptian horse in 1969. 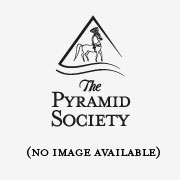 Produced by The Pyramid Foundation, Inc., the Desert Legends series was initiated to preserve the legacy of the Egyptian Arabian and its foundation horses for future generations of breeders. All purchase proceeds from the Desert Legends series benefit The Pyramid Foundation, Inc.